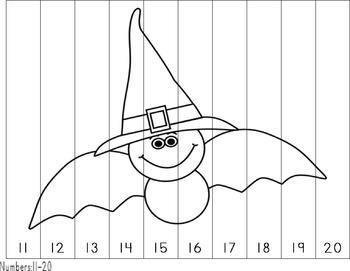 A fun, fall-themed set of math puzzles in both color and b/w. 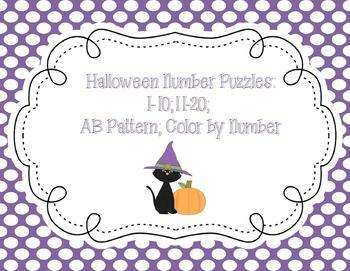 The color puzzles should be laminated for durability. I add small stick-on magnets to the back of each puzzle piece so that my kiddos can put them together on the whiteboard in front of the group. You could also use cookie sheets! The b/w puzzles are used in a small group setting. I have my kiddos color the picture, cut the strips apart and glue the puzzle back together on a piece of construction paper.